Despite being a genre that rarely produces bad games, Japanese SRPGs are frustratingly few and far between these days. Sure, there’s Fire Emblem every so often, and then a one-off title like Mercenaries Saga 2 here and there, but that’s about it. Fortunately for fans of the genre, ATLUS and imageepooch’s latest title, Stella Glow, is not only a homage to titles that paved the way for its existence, but a well-designed experience chockful of content and charm. The leading man of Stella Glow is an amnesiac boy named Alto. Not having any memories of his life prior to just a few years ago, when he was taken in and raised by a family in the village of Mithra, Alto is on a quest to find out about his past. Along for the ride is our co-lead Lisette, the daughter of the lady who found and took Alto in to raise him. The two are an inseparable duo, frequently complementing each others’ strengths and weaknesses. Because these two are the primary protagonists, a good deal of time is spent showcasing their interactions, while also looking at their individual histories and motivations. Both Alto and Lisette are fantastic characters, not just because of their well-developed backstories, but because they are incredibly likable. 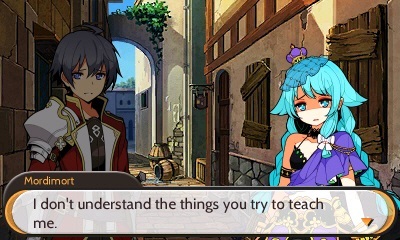 In fact, Stella Glow‘s entire cast is likable, thanks to some sharp writing. It’s not the largest roster of heroes ever seen in a JRPG, but there’s a quality to them that isn’t regularly achieved. For the sake of not spoiling the story, we’ll only briefly talk about the game’s antagonist and a few plot-points. Hilda, whom is a witch, stands opposite of Lisette and Alto throughout the game — though she is introduced to our two heroes in an interesting way. Unlike many titles where the villain enters the story and immediately has it out for the protagonists, Hilda somewhat accidentally befriends Lisette and Alto and even spares them to some degree in the beginning. This dynamic makes for some interesting encounters later in the game, as that relationship evolves and turns into something more akin to good versus evil. 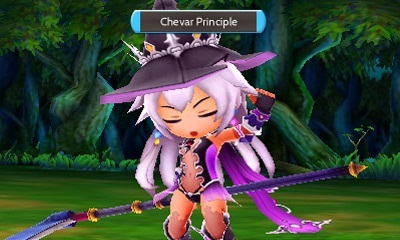 At its core, though, Stella Glow‘s tale has a lot of subtle themes going on. While on the surface its story is one about evil witches, good witches and a boy struggling to figure out why he has no memory, there are tones of prejudice and xenophobia beneath the superficial layer. Sure, there’s the tried and true themes of love, loyalty, friendship, honor and perseverance in the mix, but the aformentioned more complicated matters make Stella a deeper game than many — and it’s an overall better experience because of its willingness to explore such a myriad of very human feelings and struggles. A lot of Stella‘s story will be so well liked, however, because of the localization work that has gone into the whole thing. Characters feel alive and dialogue knows when to be serious and when to pull back and offer up something more lighthearted. From a pure prose and grammatical standpoint, the team behind bringing this title West clearly loved the material they were given to work with and poured their hearts into making it the best experience possible. Unfortunately, all the best translators and editors in the world can’t undo how certain personalities have been crafted by the writers, and to that end, there’s no denying that Stella can get a little trope-y at times. 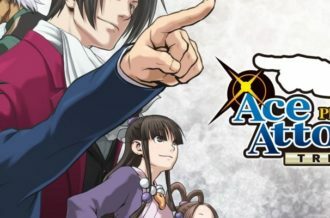 In fact, nearly all of the usual JRPG tropes are present and accounted for here: the amnesiac protagonist, the heroine with a mysterious power, a diabolical villain hellbent on conquering the world for her own selfish gains…it’s all basic stuff. Sometimes a little eye-rolling, even. Still, it’s ultimately how these characters develop and interact with one another that really builds a story that surprisingly feels unique despite looking a bit by-the-numbers on paper. Unfortunately, Stella falls victim to pacing issues. It starts off promising enough, hitting the ground running and getting folks into combat and the story quickly, but after that players may find themselves wading through dialogue for upwards of thirty minutes before engaging in another battle; and this is rather commonplace throughout the entirety of the adventure. In some ways, Stella feels a bit like a visual novel, or something similar to Tears to Tiara II, in which its gameplay-to-dialogue ratio is easily a fifty-fifty split at times. 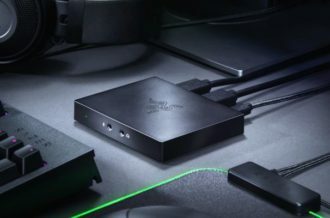 Some will undoubtedly love this — and we are among those folks — others who like the tactical gameplay aspect of an SRPG, though, will be disappointed that they have to wait so long between encounters to get back into the thick of action. The game also suffers from telegraphing its plot-twists at times. It doesn’t always do this, and we were surprised by some of the more shocking reveals, but more than a few times were we able to see a grand unveiling happen a mile away. A common problem in JRPGs, yes, but a frustrating one just the same. Stella doesn’t just tell its story through dialogue and the like; it also uses its gameplay to propel events forward. Like the narrative, the combat employed here is rock-solid. This is a strategy-RPG in the most fundamental sense, so “gameplay” comes in the form of battling. Like Fire Emblem and Final Fantasy Tactics before it, combat is handled in a turn-based fashion with players moving their characters around a stage via a grid-based system. It’s essentially the same mechanics we’ve seen in the genre for at least two decades, but these conventions in Stella are handled extremely well. 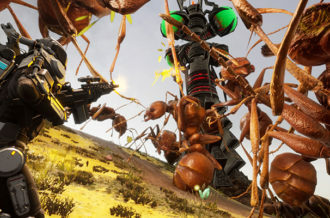 The combat engine has been designed with care and in many ways is a throwback to the great games from which it pulls influence; better still, it pays this kind of homage in intelligent ways. 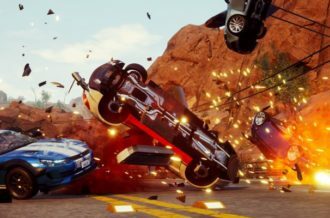 Moreover, this is a strategy roleplaying experience that has a certain degree of panache to it, make no mistake, regardless of its straightforward gameplay presentation. But it’s the level of care with which these systems have been handled that gives us a combat engine that is satisfying, even if it plays things a little too safe at times. An SRPG is only as good as its customization options, though, and for the most part, Stella grants players a good deal of them. It doesn’t offer the most robust system for outfitting characters with skills and equipment, but what is there gets the job done and then some. Again, it has the standard offerings, but it’s all the stuff players want from a game such as this. The one aspect of customization, and ultimately combat, that is different is the use of song magic. Music plays a large role in Stella‘s story and therefore gets factored into the gameplay as well. In essence, throughout battles, a song gauge fills up as a result of character actions. When this gauge becomes full, powerful song magic can be wielded against foes. There were times in which we were getting pounded by an enemy and the outlook appeared grim, but then our song gauge filled up and we unleashed a massive attack, turning the entire course of the encounter. This led to some seat-inducing, jaw-clinching moments that left us pumping our fist in victory when we got out of a tight spot thanks to this attack feature. Some songs managed to buff and heal all of our allies on the entire map, debuffed all of our enemies and deal enormous amounts of damage to said enemies, all at the same time. These attacks are just huge and awesome. It would’ve been nice if there were some other attack options available, like what Disgaea employs, but the song magic does such a great job at keeping things interesting that we weren’t missing Disgaea’s systems, or something like them, much at all. Because the game plays so well, it’s nice, then, that it’s a lengthy one. A first playthrough will run folks an easy fifty hours, but with the New Game+ feature and multiple endings (with a True Ending thrown in for good measure), Stella has a lot of replayability for a game of its kind. It also helps that, unlike others of its kind, Stella is well-balanced. Far too many times are players stuck grinding in a JRPG for hours just to surmount some trivial boss. In our time with the game, we didn’t have to grind all that much. There is some of it built into how the game is structured, but it’s never exorbitant. Like its gameplay and story, Stella also gets its presentation right. This is a beautiful game, even if the 3DS is showing its age in terms of technical limitations. 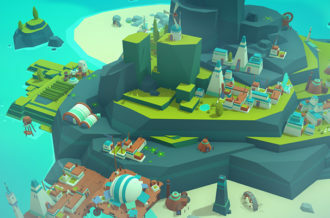 imageepooch’s title manages to utilize the system’s capabilities well by giving us a game that pops with vivacity. From its clean, sleek interface to its sharply drawn character portraits, to the character designs themselves, it’s visually pleasing. 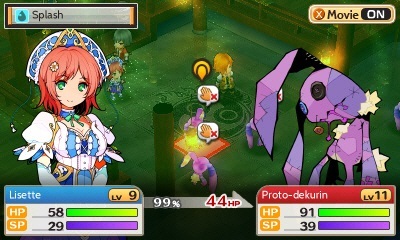 Better still, environments feel balanced and varied in terms of their themes and design, while character models have a stylish chibi vibe that, though not as deformed as recent Legend of Legacy‘s, are still unique. Animations are also excellent. Furthermore, the game occasionally makes use of animated cutscenes which are of the highest caliber. The overall look is brilliant, and better still, distinct — a feat not easily accomplished in an age where anime-inspired art directions are a dime a dozen. The audio presentation also fares well. As previously mentioned, songs plays a huge role. Because its weaved into the lore and story, it was imperative that the game deliver in terms of a soundtrack that matches the importance the very game itself places on music. To that end, Stella delivers in spades. While it has a few forgettable tracks here and there, this is a gorgeous OST on the whole. The more gentle, intimate songs are especially striking, helping emphasize scenes where the primary emotion is something deeply moving, like sadness, grief or love. But then the game knows how to ratchet things back up and present pulse-driving combat themes that fit the very notion of swords colliding expertly. From an entire presentation standpoint, imageepooch’s SRPG just doesn’t falter. Stella Glow is a solid, old-school SRPG experience that will delight those who enjoy Fire Emblem, Final Fantasy Tactics, or any of the other turn-based strategy games of the Japanese flavor that have come along in the last few decades. Its story and characters are charming and interesting, while its world is differentiated from others of its kind due to how whimsical and fantastical it all feels. It also boasts air-tight combat mechanics that go off without a single hitch. Mix in vibrant aesthetics and a emotionally-resonate soundtrack, and Stella Glow feels full featured and worthy of one’s time and money. It struggles in differentiating itself from the long line of games that have come before it, feeling perhaps a little too familiar at times, but those looking for a classic strategy roleplaying experience will find a whole lot to like here. 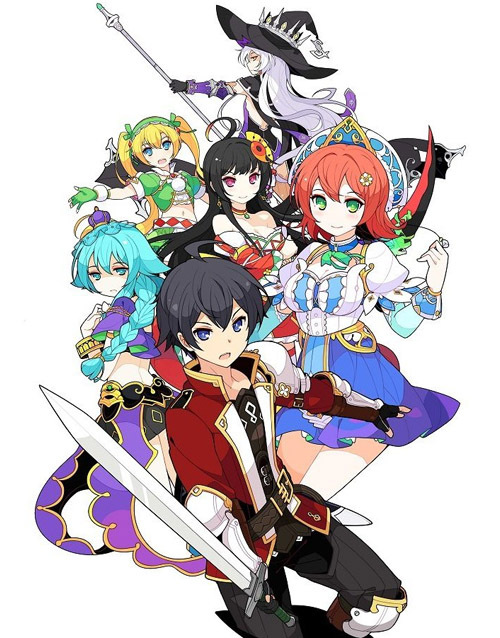 It’s fitting that Stella Glow is ultimately developer imageepooch’s swan song; they came into the business making waves with their beloved SRPG series Luminous Arc and now they’re going out making waves with another excellent SRPG. Poetic, it is.